Iceland has been on my travel bucket list for as long as I can remember. I have often imagined gazing up at the haunting dancing green light of the Aurora and exploring the otherworldly landscapes that Iceland is so famous for, so when I finally got round to booking an Iceland road trip, I was beyond excited. 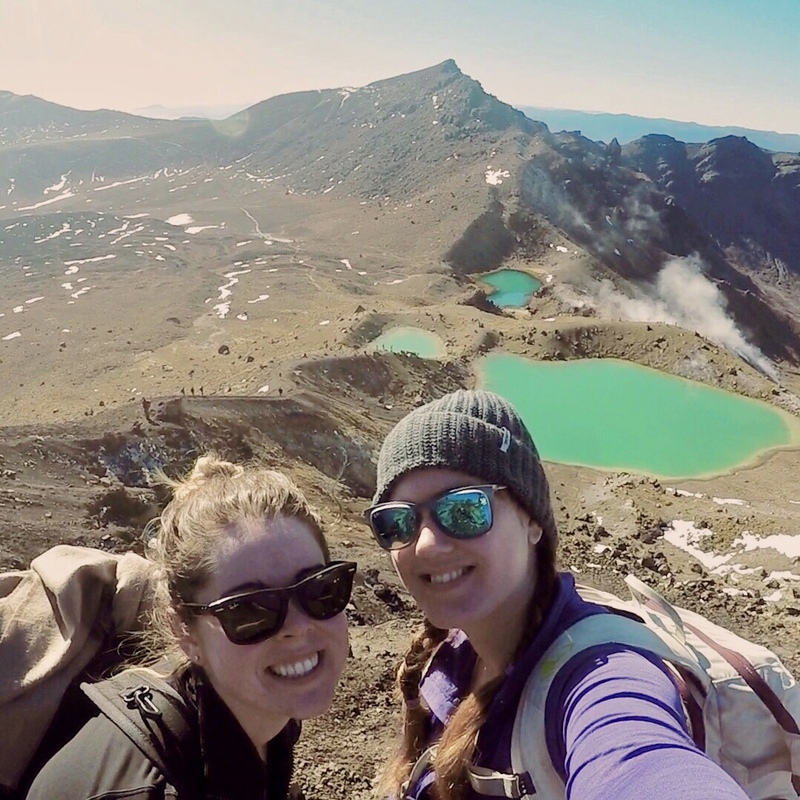 Although only around four hours from the UK by plane, Iceland couldn’t have felt more of a world away; especially when we descended into Keflavik airport, flying over barren, pockmarked land which looked more akin to what you might find on Mars. We decided to hire a car, which turned out to be the best idea as distances between the highlights are quite large and I’m not much of a coach tour fan. Iceland’s capital is where most of the country’s population is situated (around 120,000 live in and around the capital) – and where we based ourselves for our stay. 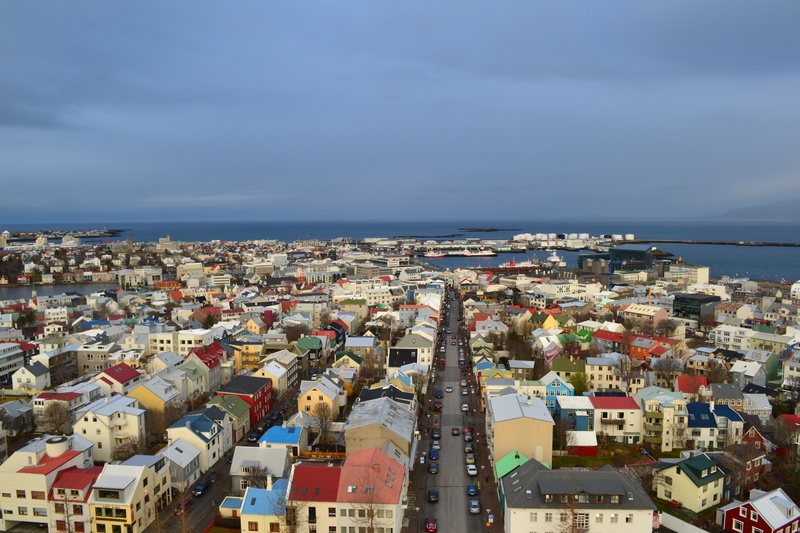 ReykJavik is a tiny but colourful city, sprawled out around the soaring Cathedral, where you can ascend the tower for panoramic views – the ideal starting point to get orientated with the coastal capital. Although tiny, Reykjavik boasts an impressive amount of bars and restaurants – not a huge surprise given the influx of travellers all year round. 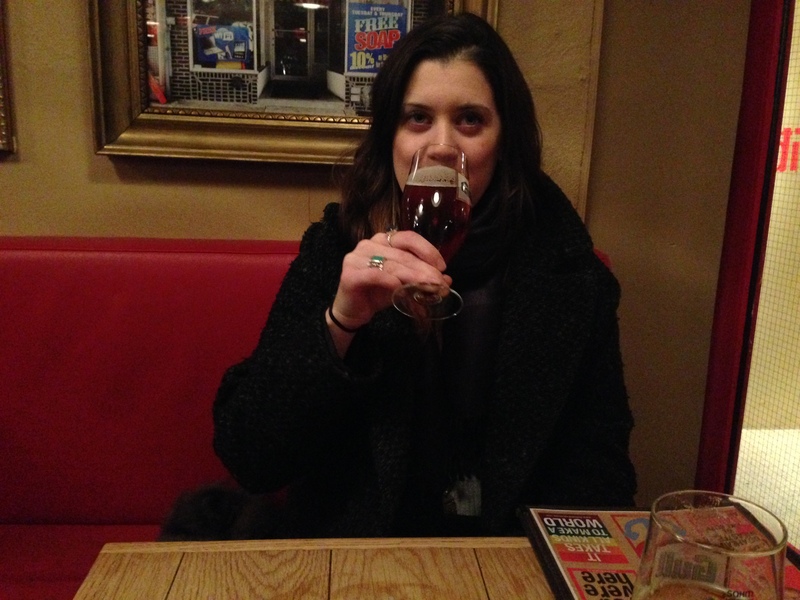 On a dreary day, you can definitely keep yourself occupied hopping from one quirky bar to the next where you can try local Icelandic beers (Einstok and Viking are popular). A personal favourite spot of mine was a cosy cafe Le Chateaux des Dix on the main shopping street, which serves ah-mazing cooked breakfasts, before turning into a bar called Tíu Dropar at night. Of course, the main reason we were here was to explore the otherworldly landscapes, which certainly aren’t lacking in Iceland. It’s not hard to see why it’s an increasingly popular destination for filmmakers; I felt like I was exploring Middle Earth one minute, and ‘Beyond the Wall’ the next (well, it is in fact a Game of Thrones filming location). The Big Three of Iceland are Thingvellir, Gulfoss Falls and Geysir – which makes up the Golden Circle. 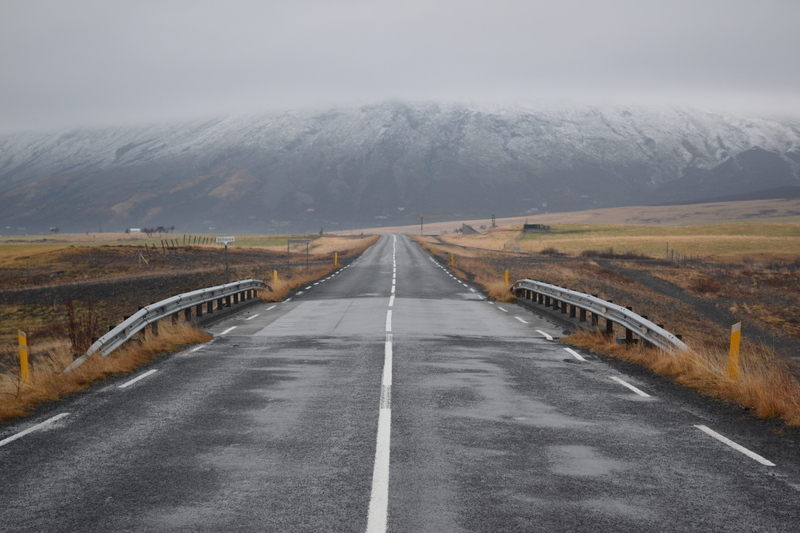 All located relatively close together we headed there by car, and at numerous occasions seemingly the only people driving down the winding, snow-dusted roads, and sometimes joined by fluffy Icelandic ponies grazing roadside. As soon as you get close, however, you find coaches of camera-wielding tourists and each attraction has its own visitor centre. First up, we headed to Geysir where a circle of people were waiting to witness the thermal explosion at the great geyser. I may have seen endless videos and photos of it, but it was still amazing to watch the pool of bubbles suddenly explode into a ferocious tower of steaming water. Gulfoss Falls was equally as impressive, where thundering water crashes down theatrically into a narrow, twisting canyon. You can get pretty close too by descending down a winding path. The third attraction in the area is Thingvellir – “Parliament Plains” – is a historic parliament spot from the time of the Vikings. The Alþing general assembly was established around 930 and continued to convene there. (Mind you, you pretty much can’t take a bad photo in Iceland). 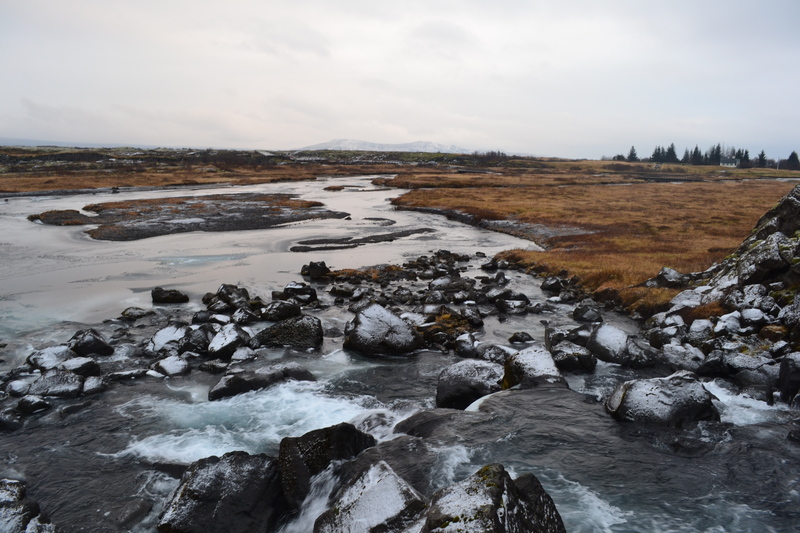 Iceland isn’t all about the Golden Circle though – and whilst I was there I was keen to venture a little further afield. (I plan to explore the whole island via the ring road at some point – probably in the summer!). For now, we jumped on the ring road south west towards Vik and the iceberg lagoon of Jokulsarlon (which proved to be a few too many hours away). 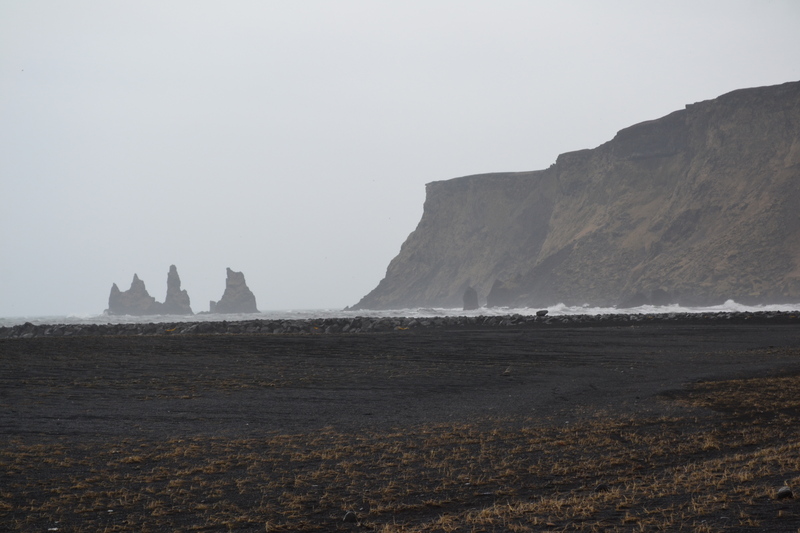 Vik, however, was reachable and despite the pouring rain and whipping winds, we were pleased to have managed to have seen the famed black sand beach, framed by sharp, toothlike rock formations. The way to Vik also takes you past one of Iceland’s most beautiful waterfalls – Seljalandsfoss. You can walk right behind the torrent of water – and can just about manage it without a soaking. 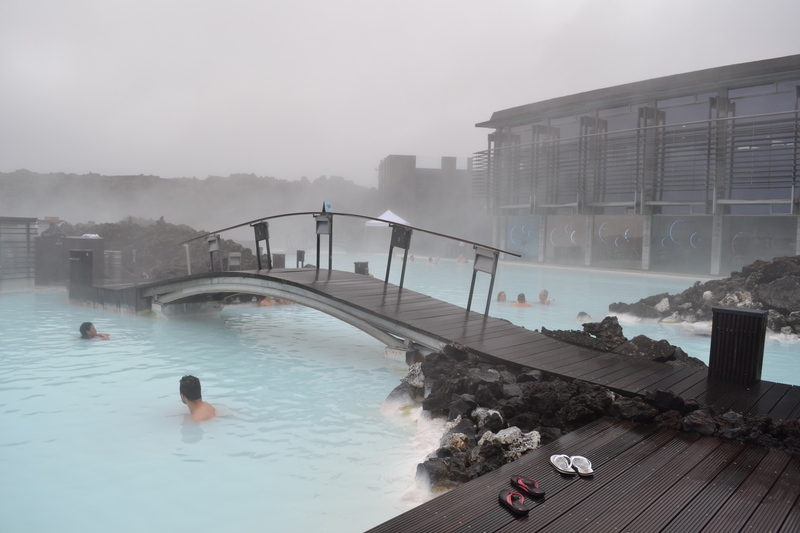 Our final stop was the Blue Lagoon – perhaps the most popular spot in Iceland. It’s located pretty close to the airport so ideal as a last stop before getting on the plane. The steaming, sapphire blue waters have been transformed into a glossy spa resort, but the lagoon is large (and steamy) enough to pretend you’re the only ones there. A lovely way to end our short-but-sweet trip. Unfortunately, we weren’t lucky enough to glimpse the Northern Lights this time, but it’s just an excuse to come back – and I can’t wait to explore more of this incredibly country. Til then Iceland!